All Conductors of Eurovision have a home on the world wide web: www.andtheconductoris.eu. This blog is there to inform you about the website and updates. Very sad news from Belgium: on Tuesday, August 20th, 2013 in his native Lier, Bob Porter (pseudonym of Bob Van Peborgh) passed away. He was only 68 years old. A genuine multi-instrumentalist, Bob Porter alternatively played the flute, piano, Rhodes piano, synthesizer, and vibraphone. For many years, he was a member of Etienne Verschueren's BRT Jazz Orchestra, of which he became the chief conductor in 1987. Four years later, the orchestra was disbanded. In the 1990s, he worked freelance as an arranger for many artists in the Netherlands and Belgium, including Günther Neefs. In 1996, Bob Porter conducted the final of 'De Gouden Zeemeermin', that year's Eurovision pre-selection, held in Knokke. He also accompanied the winner of that competition, Lisa Del Bo, to the international festival final in Oslo, conducting the Norwegian Radio Orchestra for her performance. With her song 'Liefde is een kaartspel' (composed by John Terra and arranged by Pino Marchese), Lisa Del Bo obtained a sixteenth position for Belgium. 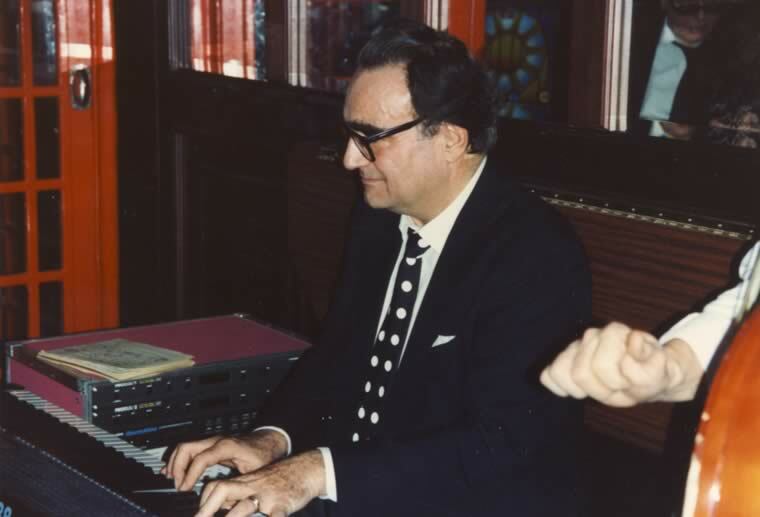 José Luis Navarro, Spanish pianist and arranger who worked with Julio Iglesias, was the conductor for Spain in the 1979 Eurovision Song Contest. If you have more information about José Luis Navarro or know how to get in touch with him for an interview, please leave a message via the contact form of the www.andtheconductoris.eu website (section 'about'). Magdi Vasco Noverraz, pianist and keyboard player from Martinique (French Antilles), was the conductor for France in the 1992 Eurovision Song Contest. If you have more information about Magdi Vasco Noverraz or know how to get in touch with him for an interview, please leave a message via the contact form of the www.andtheconductoris.eu website (section 'about'). Thierry Durbet, French arranger, was the conductor for Luxembourg in the 1990 Eurovision Song Contest. If you have more information about Thierry Durbet or know how to get in touch with him for an interview, please leave a message via the contact form of the www.andtheconductoris.eu website (section 'about'). Peter Jacques conducted Switzerland's entries in the Eurovision Song Contests of 1975 and 1977. * Repatriated to Switzerland after the war, studied classical piano at the Winterthur Conservatory, but took up a passion for jazz. * After doing a stint with Chet Baker in Milan, Peter Jacques moved to Sweden, where he worked as a pianist and arranger for eight years (1956-1964). * Worked and lived in Munich for nine years (1964-1973) as a freelance arranger, working for (amongst others) BBC and ZDF Television. * Became one of the Kapellmeisters of the DRS Big Band, the orchestra of German-Swiss radio, where he stayed until the orchestra's demise (1973-1986). * Hosted programme 'Jazz in Concert' on Swiss TV for ten years (1983-1993). * Performed solo as a pianist-keyboardist-singer for Kofi Annan in Accra (1999). * Worked as a sound engineer before becoming involved in arranging lots of hit material, e.g. by the George Baker Selection and Shocking Blue.